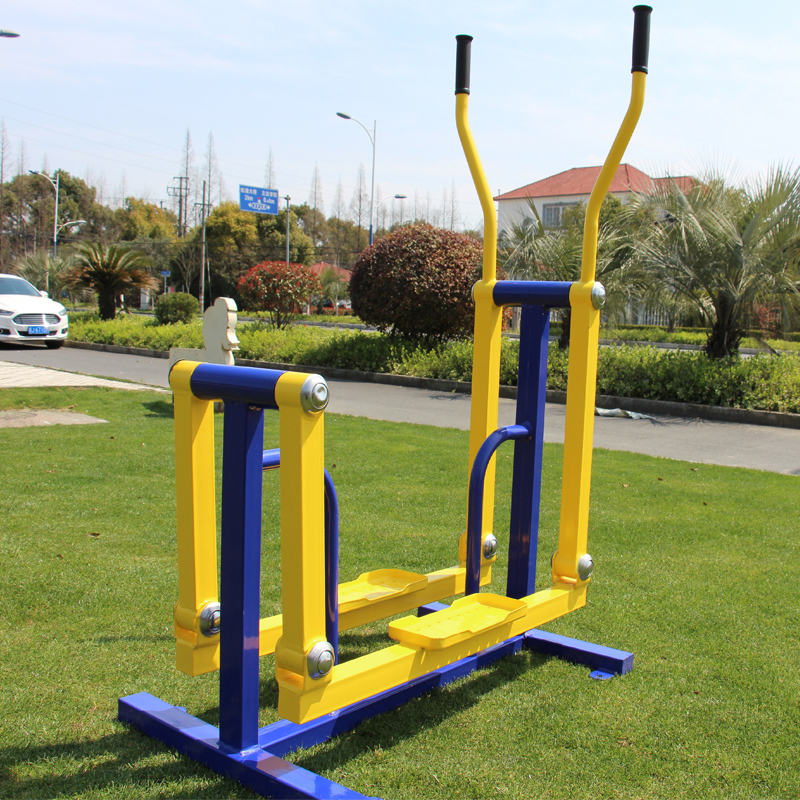 With the development of the National fitness movement, outdoor fitness equipment has also become the object of people's competition for exercise. As a best-selling product in outdoor fitness equipment, the elliptical machine has its unique advantages. So what are the advantages of this elliptical machine that people are passionate about? The trajectory of the elliptical machine is elliptical like its name. When people stand on the elliptical machine to train, the body and limbs are moving according to the trajectory of the movement, so the strength of the legs is smaller. It is especially suitable for elderly people with slightly inconvenient legs and feet. During the exercise of the elliptical machine, the arms and legs will be exercised. The body will stand naturally on the elliptical machine, so the trunk will also be thought and exercised. Therefore, the elliptical machine can not only exercise the arms and legs but also exercise the whole body Outdoor fitness equipment. Exercise using an ellipsoid machine is a kind of aerobic exercise. When using an ellipsoid machine, the blood circulation in the body accelerates and the fat will accelerate the combustion. Of course, this requires us to persist for a long time to achieve the effect of fat consumption. Therefore, the ellipsoid machine can not only exercise the body. You can also achieve the goal of weight loss, life from the movement, said so many of the most important is to exercise, quickly use the outdoor fitness equipment around you exercise. Previous: The rowing machine can make the muscles of the whole body shape.